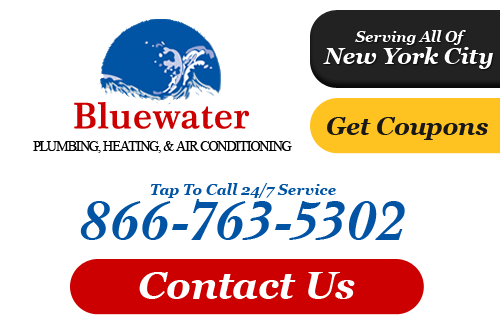 When you want dependable quality plumbing services for your business, then call the commercial plumbers at Bluewater Plumbing, Heating, and Air Conditioning. We are Queens's most trusted plumbing company for both residential and commercial plumbing services. 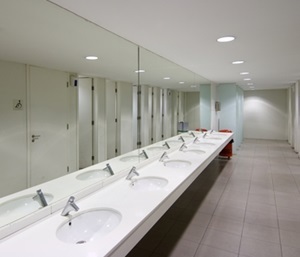 We perform all types of commercial plumbing jobs regardless of the size of the business or the plumbing system. Whether you need a simple leak fixed or a re-piping throughout your entire building we provide reliable service and top of the line products that are guaranteed to last. Call our Queens commercial plumbing specialists today for all your company's repair, maintenance, and installation needs. At Bluewater Plumbing, Heating, and Air Conditioning we only utilize the most advanced modern technology on the market today. This insures that we have all the tools and equipment necessary to offer the highest level of quality with every job we perform. Our entire team of plumbers has several years of combined industry experience. We promptly show up, perform thorough inspections, give you accurate and fair estimates, and finish every project by deadline. We value both your time and your investment. Our service is fast and affordable without sacrificing the quality that you've come to expect from a professional commercial plumbing contractor in Queens. When it comes to business, time is money. Nothing kills both more than a major caused by water or anything else. When there's standing water all over the floor, a pesky overflowing toilet, or blocked water drain, you need plumbing service fast. Our Queens plumbers are on standby to help you when you experience a water emergency. We promptly show up at your business with all the tools, equipment, and supplies needed to fix the job. We quickly find the problem, and immediately go to work to fix it. We're in and out, so you can get back to business. Our service is affordable and we don't take advantage of our clients just because they are experiencing an emergency. Our goal is to save you time and money and get your plumbing back in top shape! Let us be your go-to commercial plumber in the Queens area, and rest assured your plumbing will be in good hands. If you need reliable service for commercial plumbing in Queens or the surrounding areas of New York, please call 866-763-5302 or complete our online request form.